Item # 308971 Stash Points: 11,995 (?) This is the number of points you get in The Zumiez Stash for purchasing this item. Stash points are redeemable for exclusive rewards only available to Zumiez Stash members. To redeem your points check out the rewards catalog on thestash.zumiez.com. 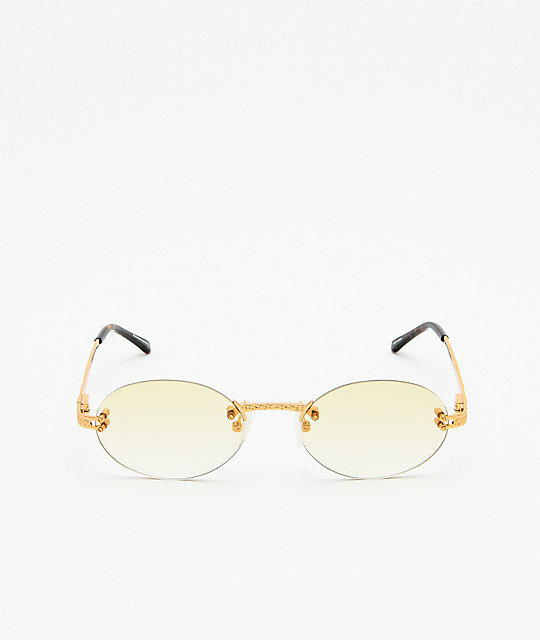 Step up your accessory game in the Helios Yellow and Gold Sunglasses from The Gold Gods x Fabolous. Fabolous, the rapper, and The Gold Gods have teamed up to create a fresh line of eyewear and the Helios is part of that collection. With an oval "frameless" design, these low-profile sunglasses feature yellow tinted lenses, plus slim, metal arms and nose bridge for a fresh design that will level up your next look. Fabolous Helios Yellow & Gold Sunglasses from The Gold Gods. 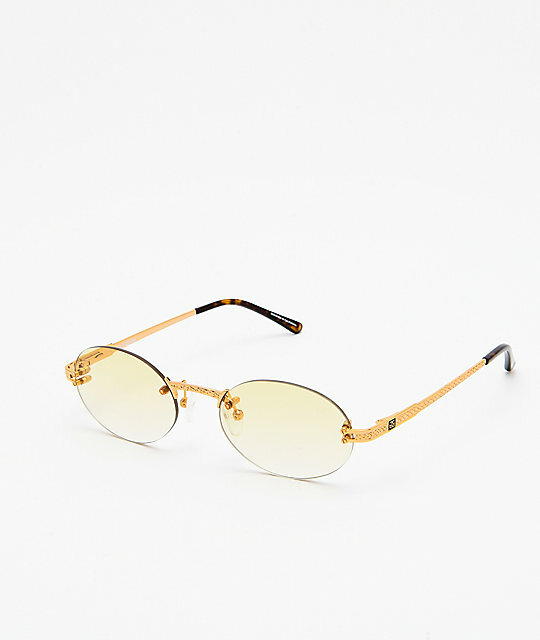 Collaborative sunglasses between the rapper Fabolous and The Gold Gods. Durable metal frame for all day comfort and durability. Metal nose bridge with rubber nose pads.